This guide will walk you through the steps of port forwarding on Vigor2110 (Firmware V3.3.6 router). 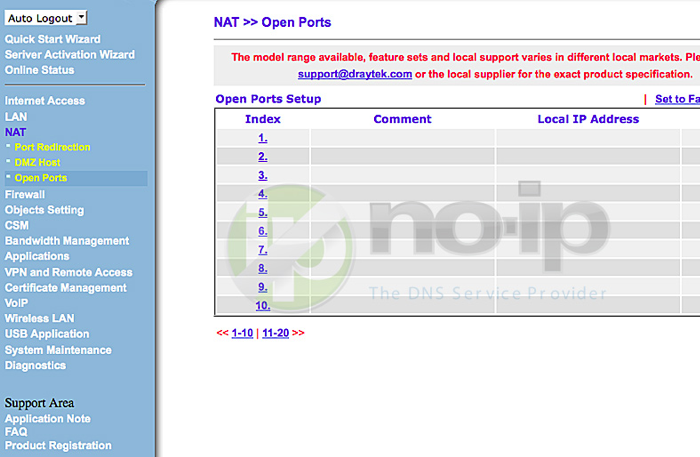 Step 3: Once you have logged in go to “NAT” then click “Open Ports”. 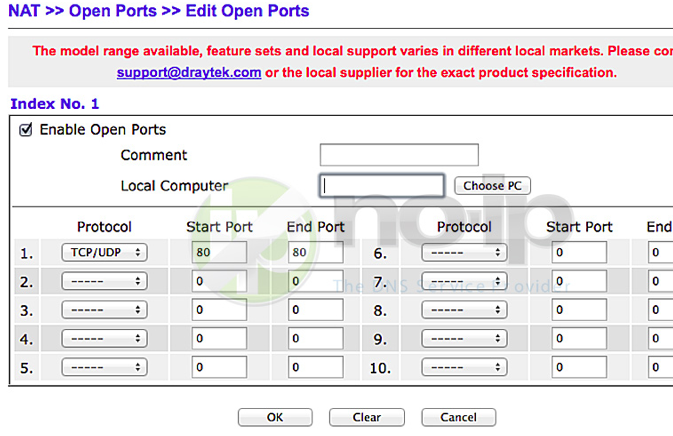 Step 4: Check “Enable Open Ports” and then add a “Comment” choose a name for the service (small description eg. web, camera, xbox, etc..). “Local Computer” is the Internal IP address that you want the port to be open on. Be sure to have “Protocol” set to “TCP/UDP”. “Start Port” is the port you wish to open and “End Port” is the port you wish it to end at. Click “OK”.